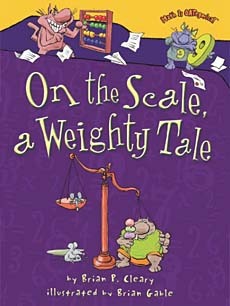 In Cleary's trademark bouncy verse, On the Scale presents basic weights and measures through age-appropriate examples employing both English and metric units of measurement. Accompanying cartoons by Gable add energy and humor. It can be hard to grab and retain students attention during measurement lesson plans. This book adds just enough humor and zip to make the difference! School Library Journal agrees, saying "this humorous title should prove useful in both classroom and family discussions." Here's a spread from inside the book. 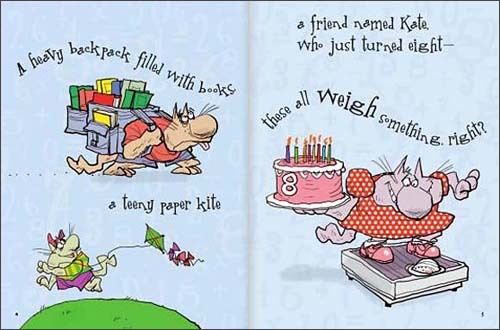 Again, Gable's zany, cartoon illustrations fill the pages and Cleary's bouncy, rhyming text creates a fun way to learn about weights and measures. 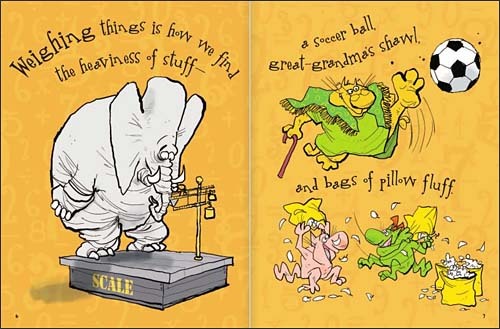 (Text reads: Weighing things is how we find the heaviness of stuff -- a soccer ball, great-grandma's shawl, and bags of pillow fluff.") Kids love the goofy examples Cleary has picked and the zany cartoon cats too. 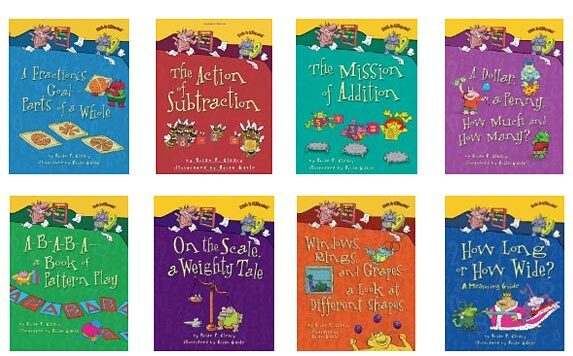 You may also want to check out other books in the Math is Categorical series. To learn more, click on the book covers below or the link above.